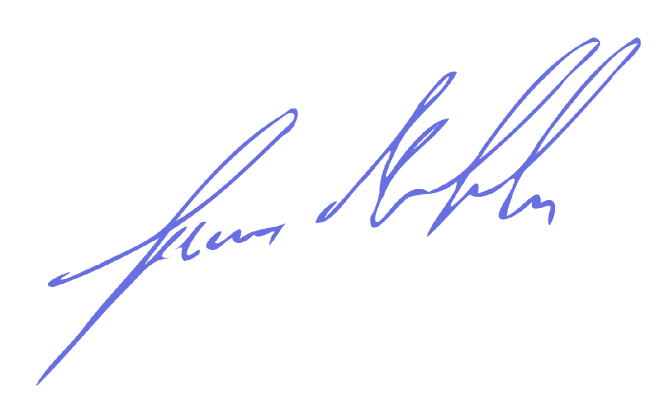 I would like to convert a scanned signature to a vector file. 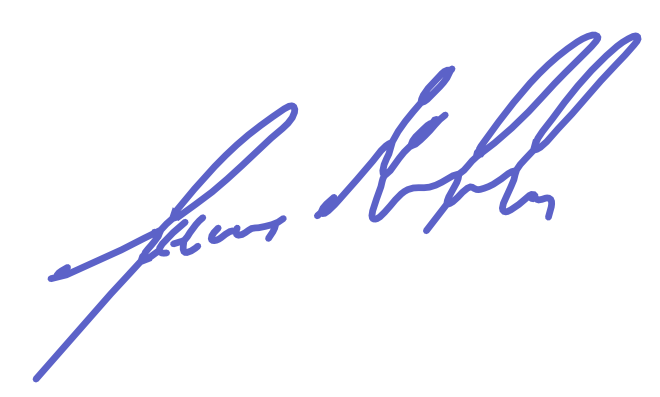 Specifically, I'd like to obtain a clean, small SVG, like Barack Obama's signature on Wikipedia. It consists solely of paths with no fill and a black stroke of width 1.4. 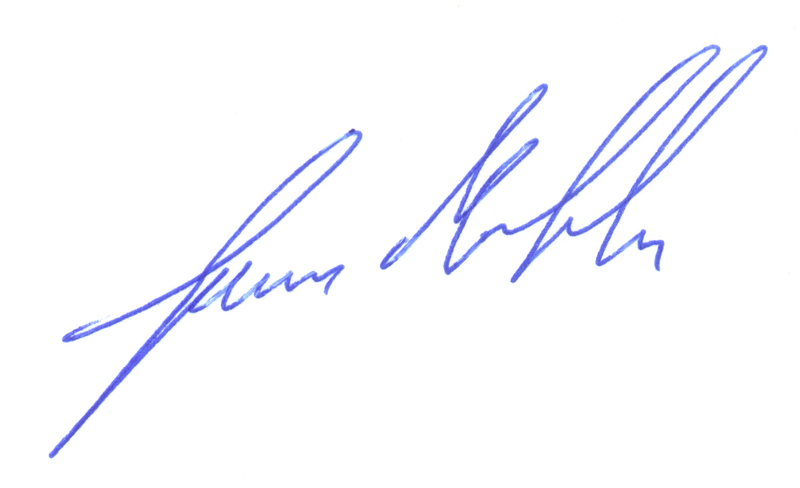 Here is an example scanned signature. 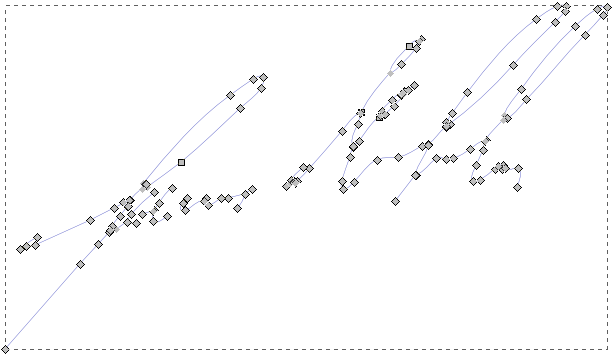 I've tried the tracing functionality built into Inkscape 0.48 and Illustrator CS6 but was only able to obtain paths with anchors at the boundaries, plus fill and no stroke. Needless to say, the resulting SVG is not clean (path has varying width) and it's size is roughly four times that of the Obama signature. Do any tools exist that can decently trace a scanned signature/line art as strokes, not as paths? If not, how would I go about creating the strokes manually with the pen tool in Illustrator? 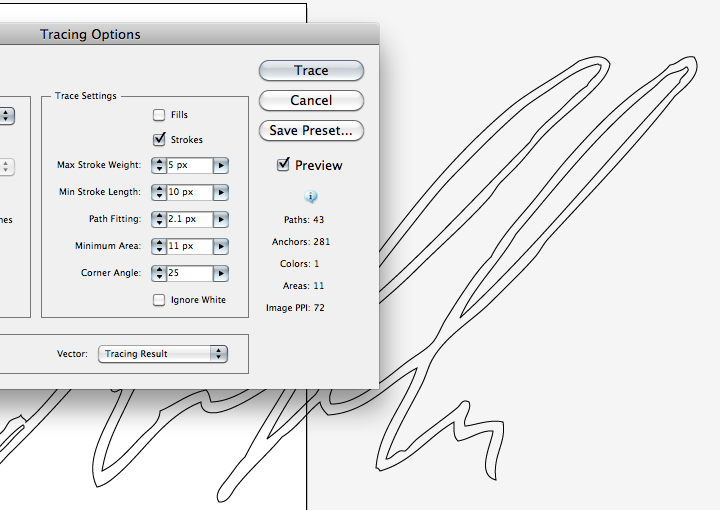 The method you are looking for is "centerline tracing". This converts a bitmap to a vector line rather than an object graphic. Very few tracers will be able to do that. Best and fastest results were obtained by tracing the bitmap to an object vector graphic. This was then exported as PNG bitmap again as shown above. If you're uncomfortable with the command line you can install the graphical frontend Frontline for AutoTrace. Take the file into photoshop, fiddle with the levels and brightness-contrast to get a high contrast image. Then make it black and white and maybe fiddle a little more with the contrast. Remove the background (the white), and save it as an image with transparency (e.g. png). 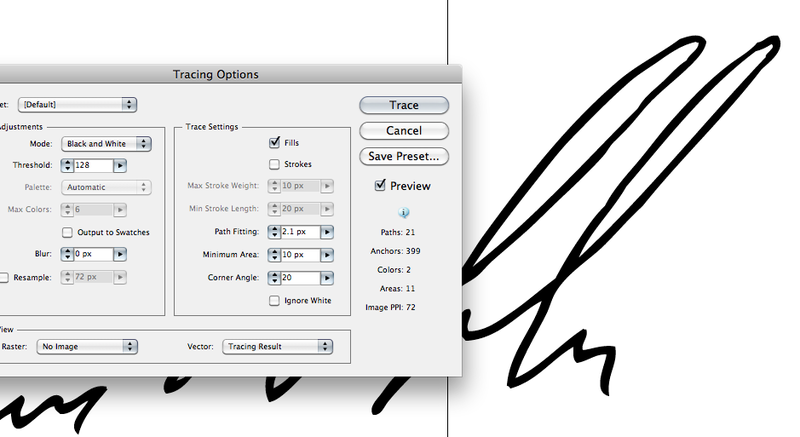 Then, in illustrator choose the tracing options; and here you can play around depending on if you want a vector stroke or fill. Not the answer you're looking for? Browse other questions tagged adobe-illustrator vector inkscape stroke image-trace or ask your own question. 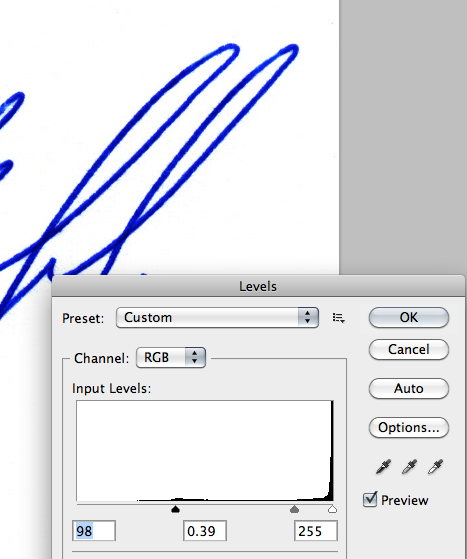 Convert signature to vector on OSX? Is there a software that can show me how to draw objects from my images? How can I get the output from Image Trace to be Strokes instead of a Fill? How to remove overlapping strokes in Inkscape? How can I make a continuous outline from multiple strokes?